Bhubaneswar: The 9th Lecture in Odisha Knowledge Hub (OKH) lecture series delivered by South East Asia Google Inc Vice-President Rajan Anandan at the State Secretariat here on Wednesday focused on the Top Technological Trends happening in the internet world in present days. Anndan said the ‘India Stack’ initiative launched by the Government of India would lead to massive innovations in the field of IT-enabled service delivery in coming years. He maintained, “India Stack is the digital platform that envisages paperless identification and paperless payments with unified payment Interface (UPI). This platform has the unique advantage of a massive amount of data and around 1.3 billion people are tagged with it.” Anandan added that as the world today is entering to a phase of artificial intelligence, the internet would be the medium for providing this intelligence to mass users. 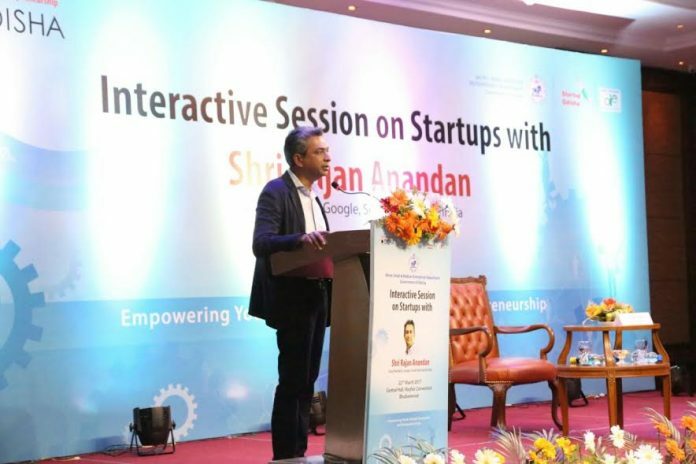 Replying to a query about the Government’s role in the internet ecosystem, Anandan said that the Government has to play two major roles, putting in place enabling regulations for facilitating innovations and easy operation of enterprises, and creating digital infrastructure and frameworks like India Stack. He also informed that Google in collaboration with Tata Trust and Intel have launched the mission for bringing women in rural India to the world of internet for enhancing their livelihood options, access to qualitative health care and educational institutions. Presently only one out of every 10 rural internet users is a woman. Development Commissioner R Balakrishnan said big problems can be resolved in a big way in a techno environment. A farmer can hardly afford for purchasing and maintaining the expensive agri equipments. Internet and technology can be of great use in providing farming services like providing the equipments on hire and extending relevant advisories at appropriate time to the farmers. Chief Secretary Aditya Prasad Padhi presented the OKH memento to Anandan.